In late November 2016, Bangladesh took delivery of two refurbished submarines from China, making the former the second Bay of Bengal (BoB) navy to acquire an undersea capability. This development takes place even as Myanmar recapitalizes its surface fleet sporting sonars supplied by India. Recent maritime boundary settlements, rather than obviating the need for naval capability accretion, seem to have enhanced it in the littorals of the resource-rich BoB. As such, the India-China contest for influence in the BoB has a decidedly naval edge to it, with both sides seeking to leverage capacity-building cooperation with countries in the region to secure access and a deep security relationship. Bangladesh had actually sought to acquire its own submarine capability back in 2003, although that effort did not yield results due to internal political turmoil. The move to purchase submarines from abroad was revived in 2009, after naval tensions with Myanmar the previous year. In 2010, Bangladeshi Prime Minister Sheikh Hasina announced her government’s intention to develop the BN into a three-dimensional “deterrent” force, with a view to protecting the nation’s maritime resources and mostly coastal population. Similar statements have been made by Hasina on multiple occasions since then and her government is believed to be the key driver behind Bangladesh’s naval expansion. While Bangladesh had initially looked to acquire brand-new submarines of a more contemporary design such as the Type 041 Yuan, which China reportedly offered for $250 million apiece, budgetary constraints meant that the BN had to ultimately settle for two used Type-035G Ming-class submarines instead. Financial issues probably also stopped the Bangladeshis from considering Russia’s offer to sell Kilo-class submarines. The two Type-035G boats ordered in 2013 for a sum of $203 million and now commissioned as BNS Nabajatra and Joyjatra, respectively, have typical Ming class features, with a submerged displacement of 2,110 tonnes, an overall length of 76 meters, beam of 7.6 m, hull draught of 5.1 m, and a top speed of 18 knots when submerged. Each boat has a complement of 47 sailors and 10 officers and sports eight 533 mm tubes that can deploy weapons such as Yu-3 and Yu-4 heavyweight torpedoes. A total of either 14 torpedoes or 32 naval mines can be carried by these boats. The two submarines have an integrated sonar and electronic warfare suite with Chinese derivatives of Western origin systems. BNS Nabajatra and Joyjatra, though obsolete in terms of structural design, have a decent sensor fit, and have been deemed adequate by the BN not only for training and capacity-building roles but also for sea-denial potential against less capable adversaries such as the Myanmar Navy (MN). These submarines will be based in the newly constructed submarine base at Kutubdia Channel near Cox’s Bazaar. Bangladesh also has a plan to build a major naval base in the Rabanabad Channel in southwestern Bangladesh, which will have both submarine berthing as well as aviation facilities. Even though Bangladesh settled its maritime boundaries with Myanmar in 2012 and India in 2014 via international arbitration, these awards probably reinforced its desire to build a deterrent navy, rather than dampening it. Post-arbitration, Bangladesh now has sovereign claim over an exclusive economic zone (EEZ) spanning 111,631 square kilometers, an area nearly equal to its landmass, which it feels the need to actively defend given that it isn’t particularly rich in land-based resources. Bangladesh’s acquisition of an undersea capability also comes at a time of heightened tensions with Myanmar over the Rohingya issue and turmoil all along Myanmar’s Arakanese coastline. Besides the naval drive, Bangladesh is also building a new airbase close to its eastern neighbor, in addition to opening new military cantonments across its territory. Overall, Bangladesh’s military build-up is directed by the Bangladesh Military’s “Forces Goal 2030” comprehensive modernization plan introduced in 2009, which perhaps is reflective of how the country sees itself on the world stage. With a population of 170 million and a growing economy, Bangladesh has been positioning itself as a leader among the G77 group of developing countries and it should be noted that it is a top contributor to UN peacekeeping missions. Helping Bangladesh raise its military profile in the naval realm is of course China, its single largest trading partner. For instance, earlier this year two 1,350 tonne Type 056 corvettes, BNS Shadhinota and BNS Prottoy, built by China Shipbuilding and Offshore International Company, joined the BN. Each ship is armed with 76 mm and 30 mm naval guns as well as C-802A anti-ship missiles (ASMs) and a FN-3000N surface-to-air missile system. Two more Type-056s are on order. Meanwhile, Bangladesh’s Khulna Shipyard is currently building six 648 tonne Durjoy-class patrol craft to add to the two already delivered to the BN by China’s Wuchang Shipyard. The Durjoy-class is considered a scaled down variant of the Type-056 design and is armed with the lighter C-704 ASM. The C-704 may also arm BN’s Padma-class patrol vessels, which are being built by the Khulna Shipyard with support from China Shipbuilding Industry Corporation. Hasina has also announced a plan to build warships in the Chittagong dry dock in future, once again with Chinese assistance. Besides the new build ships, Bangladesh had also acquired two ex-Jianghu-III Chinese frigates in 2014. China until now has also been the leading collaborator in the Myanmar Navy’s bid to recapitalize its fleet, although this may change in the future. Though the MN’s new surface combatants are being built in the Sinmalaik Shipyard in Yangon, which was set up with Chinese assistance, the ships are being outfitted with weapons and sensors of diverse origin. Particularly noteworthy is the fact that MN has opted for Indian sonars for its principal surface combatants even as China is helping Bangladesh set up a submarine arm. MN’s new 3,000 ton Kyan Sittha-class frigates, of which two have already been commissioned and three more are planned, is equipped with a DRDO-BEL HMS-X hull-mounted sonar, which is an export version of the HUMSA-NG meant for major Indian Navy(IN) surface combatants. Kyan Sittha-class ships also use Indian supplied search radars even though they have to use a Chinese missile targeting radar since their main armament consists of C-802 AshMs. The single Aung Zeya-class frigate, which precedes the Kyan Sittha-class, carries the same Indian sensors as the latter, but instead of the C-802 uses Russian Kh-35 ASMs as its primary armament. In 2015, preliminary discussions were held between the visiting Myanmarese delegation and officials of India’s Goa Shipyard Limited for the possible supply of OPVs to Myanmar. Even as Myanmar progressively turns toward India for naval supplies, it has in the recent past also sought to address Indian concerns about the nature of its military ties with China. Back in 2013, IN and MN ships conducted a coordinated patrol between Myanmar’s Coco Island and India’s Landfall Island, perhaps in a bid to put to rest persistent Indian speculation about the island being used by the Chinese as a major signals intelligence (SIGINT) gathering facility. Myanmar has also invited India to overfly this island to examine the nature of the improvements taking place on it, such as an extended runway. With the inking of a pact for coordinated patrols earlier this year, it could be said that the Indian establishment is now sanguine that Myanmar is not likely to turn itself into a “second coast” for the People’s Liberation Army Navy (PLAN). India is now looking for work-arounds for sanctions to step up military supplies to Myanmar. For example, various Western components in the HMS-X sonars were indigenized specifically to enable their sale to Myanmar. A similar work-around for OPVs is being explored. By making India a party to its naval modernization programs, agreeing to coordinated patrolling, and opening itself to Indian transit corridors such as the Sittwe Port built by India and ready to be commissioned, Myanmar has signaled that its “China card” is essentially designed to get the best techno-commercial deal for itself and is not necessarily reflective of a burgeoning military alliance with the PRC. Sri Lanka too seems to be giving this signal to India of late, by being lukewarm to Chinese requests for the use of Trincomalee harbor, which sits on the BoB and is much closer to the Indian coast than Sri Lanka’s Hambantota Port, which China has helped develop. The Sri Lankan Navy is also beginning to see steady transfers of naval equipment from India. India’s strategic community, despite warming ties characterized by the settlement of both land and maritime borders, is not quite sure about the nature of Bangladesh’s “China card,” however. Bangladeshi military literature continues to talk about using China to balance India, a country that surrounds it on three sides and with which it still has a major water-sharing dispute. The timing of Bangladesh’s acquisition of submarines also isn’t a particularly propitious one from an Indian naval perspective because of its source. 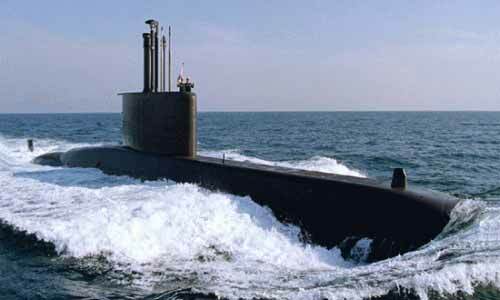 In the initial phases, Bangladesh’s new (old) submarines will have Chinese crews attached to them for training and familiarization purposes while plying in waters near India’s upcoming ballistic missile submarine (SSBN) bastions. Chinese personnel will also be heavily involved in setting up maintenance and operational support establishments at the Kutubdia submarine base, which would place them not too faraway from India’s Eastern Naval Command at Visakaphatnam or from INS Varsha, which is still under construction and will serve as the home base for India’s SSBNs. So in a sense, Bangladesh’s submarine pool will allow China to extend its sensor net into the BoB, besides enabling it to gather information that would prove useful for its own submarine operations. Indeed, India will be even more concerned as to whether the Chinese naval presence would extend to being able to secure berthing facilities for their own submarines at Kutubdia. During the October visit of President Xi Jinping to Dhaka, a first by a Chinese president in 30 years, China promoted its relationship with Bangladesh from a “comprehensive partnership of cooperation” to a “strategic partnership,” while promising billions of dollars in infrastructure investment. In that sense, Bangladesh’s purchase of Chinese submarines while being promised major “One Belt, One Road” (OBOR) investments does bear more than a casual similarity to China’s sale of submarines to Pakistan and the China-Pakistan Economic Corridor. China’s outlets into the bays and seas that flank the Indian Peninsula will not really help reduce its “Malacca Dilemma,” whether in terms of being able to divert major traffic or securing overwatch over its sea lines of communication (SLOCs). What they can do, however, is complicate Indian naval planning by forcing Delhi to invest resources in areas such as the very northern reaches of the BoB. To be sure, Bangladesh’s new underwater boats by themselves do not pose much of a challenge to the IN. But even obsolete boats patrolling in areas that do not have a major naval base are a cause of concern and will mean the deployment of assets to areas that were basically Coast Guard territory earlier. As such, the impetus to set up a major port at Sagar Island just off the coast of the Indian state of West Bengal and near the International Maritime Boundary Line (IMBL) with Bangladesh may be gathering pace. Work is underway on providing road-rail connectivity to this port site from the mainland. The Indian military also intends to turn Sagar Island into a major C4ISR point, complete with support from a coastal missile battery and air defenses. The port itself, given its deep draught, will be able to dock most IN ships and serve as a replenishment base. India has also been stepping up defense diplomacy with Bangladesh to ensure that the strategic overlay on China-Bangladesh economic relations remains manageable. A new defense agreement, which envisions Indian military sales to Bangladesh, extension of training facilities and joint exercises, and credible counterterrorism cooperation, was discussed during Indian Defense Minister Manohar Parrikar’s late November 2016 visit to Dhaka. India is quite clearly trying to gauge the degree to which Bangladesh will accede to Chinese demands for access. Some coordination between the India and the United States in this sphere may also be expected, given U.S. Secretary of State John Kerry’s remark during his September 2016 visit to New Delhi that “India and the U.S. see eye to eye on the Bay of Bengal.” India and the United States have already included Japan in their annual Malabar series of exercises held in the BoB (much to the chagrin of the Chinese) and India is also exploring the possibility of connecting with Japan to offer alternatives to OBOR style investments in the BoB littorals. Intelligence sharing of Chinese submarine movements in the Indo-Pacific is also on the Indo-U.S. agenda. However even as diplomacy takes its course, India will now have to focus on increasing its own submarine strength. Parrikar himself has recently commented about the need to augment India’s submarine force structure, which is inadequate (despite IN Chief S.K. Lamba’s claim that “as far as deployment of PLA Navy ships and submarines are concerned, we keep a close eye and monitor their movement”). An early decision on a second line of conventional SSKs is expected soon. New Delhi intends to have two diesel-electric submarine lines humming into the 2020s (in addition to nuclear submarine construction) not just to recapitalize its underwater fleet but to also offer units for export. After all, India had to turn down a Myanmarese request to refurbish an old Foxtrot-class submarine for the MN in 2008 as that boat was too outdated and it is reported that Bangladesh had actually asked India for submarines before it placed orders for the Mings. India would certainly not want to give Bangladesh or Myanmar that excuse for turning to China for submarines in the 2020s. Saurav Jha is a commentator on energy and security affairs. Follow him on Twitter @SJha1618.